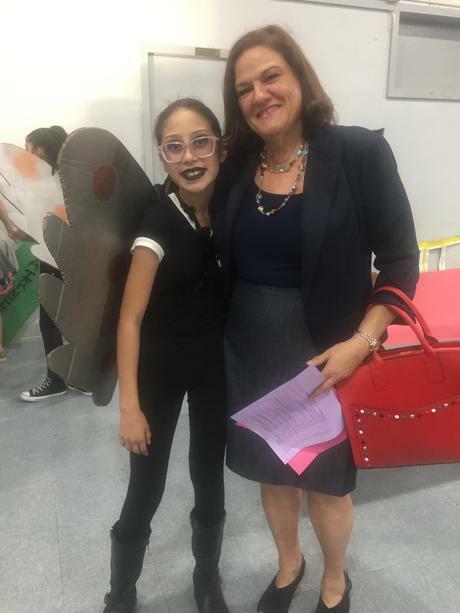 Ms. Yahudian and Daisy, (5th Grader), representing our school at the S.T.E.A.M Fair in the school play "The Wonderful Wizard of Family". Take some time to watch our Dual Language One-way Immersion Program (OWI) video. Students who do not live in our boundary area are also welcome to apply. Call our office for more information at (818) 787-2113. Thank You. I am looking forward to an exciting, and challenging year with many positive changes academically, socially and behaviorally. Parental involvement is integral to student success. With parents, community and school working together, I am confident that our students will be empowered to reach their potential as productive citizens. Pulsar sobre el elance: http://search.lausd.net/cgi-bin/fccgi.exe?w3exec=sarc20172018&which=3137 para información en el progreso de nuestra escuela en relación con SARC. School Accountability Report Card (SARC) Available! Click this link: http://search.lausd.net/cgi-bin/fccgi.exe?w3exec=sarc20172018&which=3137 for information on our school's progress regarding SARC. Parents, this is a reminder to sign up for the parent portal. Visit Ms. Padilla, Mr. Herrera, Diana, or Angela for help to sign up. Link is at the bottom of Quick Links.